On my way home, I stopped at one of our city’s trashy parks. I purposely picked the trashiest area I know in the park to further test the new Garrett 5×8 DD coil. Not five minutes into the hunt, I got a glimpse of a high tone among some mid tones and grunts. One thing I am beginning to LOVE about this coil is how it bites down onto a signal once you narrow the swing. I kept swinging over the cacophony of tones and kept narrowing the swing until I was hearing mostly the high tone. After a few narrow swings, the signal cleaned up and I got a beautiful high tone with a beautiful VDI of 81-82. So the small coil is proving itself. I think this is the beginning of a beautiful friendship! Very sweet find! This really helps to prove your big theory that it doesn’t matter if a detectorist has been there before or not. Glad you are liking your new coil! 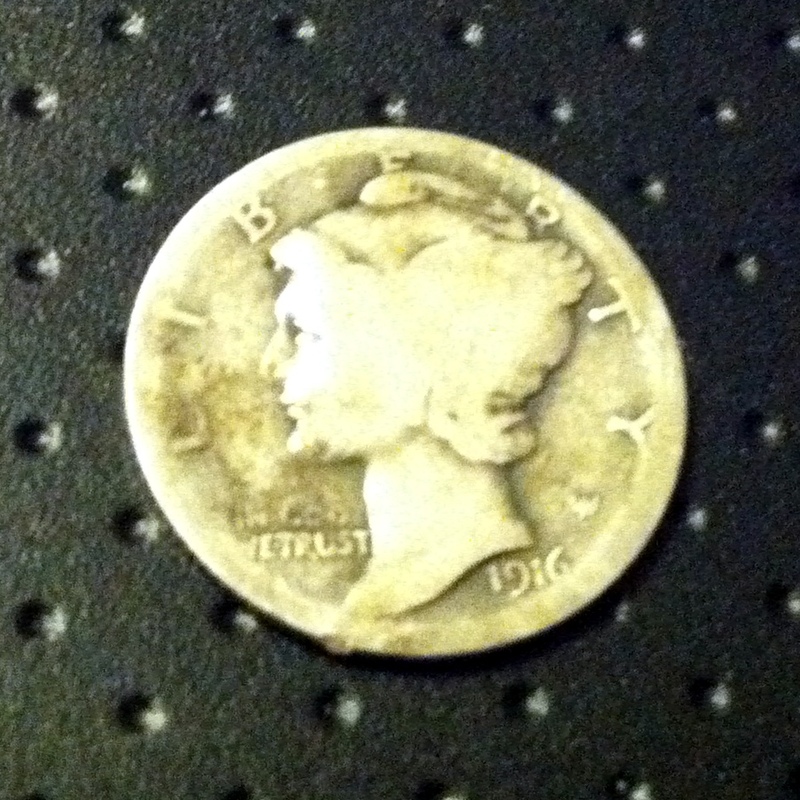 That’s what I’m talking about right there, a 1916 mercury, Heck yeah! The coil has just paid for itself in my book, keep on diggin’. I tell you, I get the most joy out of getting silver out of our city parks. 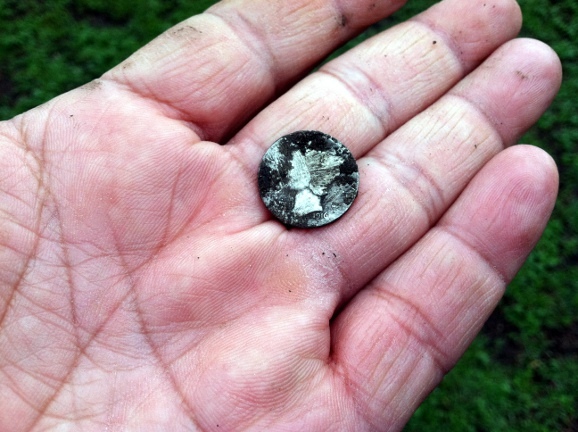 When I think about the class of my competition and the rich and long history of metal detecting in this city of ours, I am just tickled to be able to pull a coin that was missed. That’s what this new little coil is about; new tools to get those hard to get targets from the hard to hunt places. Still waiting to find our first silver. Seems around here things sink fairly quickly.